The holidays are coming and you know what that means! A lot of big family dinners! I can’t speak for other people and their families but I know when my family gets together there is always this awkward moment when everyone is trying to figure out who will say grace. Sometimes that person gives a very eloquent blessing for our food and time together. Sometimes the person that says grace stumbles during the blessing, searching for the right words to say. The beautiful thing about saying grace is it doesn’t have to be fancy, just heart-felt. After each regular Sunday lesson, instead of giving the kids time to play we sit down at the table for a healthy snack. The kids help set the table and pass out snacks then before we start eating I review the three steps in saying grace with the TAP acroynm. This has made the kids very comfortable with saying grace and now that we have done that a couple times, the children are taking turns each week saying grace individually. Now that I have the kids comfortable with saying grace, I am going to make it more fun and engaging. You can try this at home too! This upcoming Sunday, before we say grace we are going to go around the table and have each person say what they are thankful for. You can make this a regular practice in your own home by having everyone at the table take turns saying something good that happened that day. 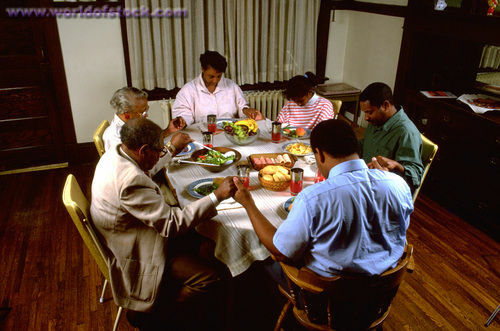 The dinner table is often the best time for the family to get together and talk. My family never ate dinner in seperate rooms or at different times. We ate dinner every night at the same time and even if one of us was mad at another, we sat at that table together. Often times, by the end of dinner we were all laughing and enjoying time together. There were plenty of times we sat around the table deep in coversation hours after dinner was complete. My husband and I have Saying Grace cards on our table so if we have guests, they can pick a card to read to bless the food. When our kids get older that will be another fun way to engage our children in saying grace. I plan to introduce this to the church kids as well during this series. I may even make some cards up for them to take home and use. At camp living waters, saying grace is something I always looked forward to because they don’t just say it they sing it! Camp living waters has a chart of songs that go along with songs kids know like the Adam’s family theme song, the Superman theme song, Johnny Appleseed, etc. It is an energizing way to say grace with a large group. This will be the last step in my series so that I may show that saying grace doesn’t have to be boring or the same every time. 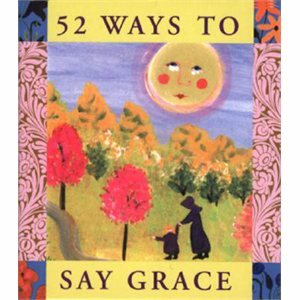 Whether our kids say grace using the TAP acronym, cards, by taking turns saying what they are thankful for that day or by singing a fun song; it is a great way to connect with our children and with God. Dinner time around the family table is more precious than you may realize so try making that one time in your family’s busy schedule you fight hard to fit in! I love your saying grace cards! I wish more people had them. I know, we love them! We could make our own Hill’s Church deck!